The Lawnside Historical Society, Inc.
His free presentation will be featured at the April meeting of the Lawnside Historical Society, Thursday at 7 p.m. in the Lawnside Borough Hall, 4 Martin Luther King Jr. Road. The Society owns the Peter Mott House Underground Railroad Museum, named for the agent of the Underground Railroad who helped those seeking freedom from his farmhouse. The historian and researcher, an adjunct professor in Rowan University’s Department Of Language, Literacy and Sociocultural Education, has for years found leaves on this family tree, the namesake of our Heaney Avenue. Dr. Johnson holds a master’s and doctorate from the University of Pennsylvania and a bachelor’s from Rowan. In addition to his alma mater, he has taught at Rutgers University, Camden; Gloucester County College; Moravian College and the University of Maryland, Eastern Shore. He has published numerous articles on the African American history. Lawnside is a historic town with roots in the Underground Railroad and an independent spirit we celebrate on Lawnside Heritage Day and every day. We have three nationally recognized historic sites within this one-square mile community: The Peter Mott House Underground Railroad Museum, the Mount Peace Cemetery and the Lawnside Public School on Warwick Road (now Lawnside Meadows). To show your support for our historic community, purchase a lawn sign, “LAWNSIDE: This Place Matters” for $20. Call 856-889-7152 or send email to lhs@petermotthouse.org with This Place Matters in the subject line. Checks should be made payable to the Lawnside Historical Society. Special thanks to Steve Pollard, member and borough councilman. Our history matters all year long. Find ways you can volunteer to help preserve our town. At left, officers of the Lawnside Historical Society show their pride in the Peter Mott House. They are Jacqueline Miller Bentley, Christine Lewis-Coker, Chrissandra Butler and C. Joyce Fowler. Volunteers of all ages gather in May 2018 at the Mount Peace Cemetery to clean up the historic burial ground, which was founded in 1902. Many prominent people of color from the region and more than 108 Civil War military men rest there. The Peter Mott House Underground Railroad Museum is closed for the Memorial Day weekend. The story of Mount Peace Cemetery was broadcast on Fox Philly. View it here. The Haddonfield and Lawnside Historical societies are co-hosting a special Women’s History Month event featuring a talk by author Angela P. Dodson on the history of women’s suffrage, noting its links to the anti-slavery movement as well as women’s impact on U.S. politics and government. The presentation will be held on Tuesday, March 6, 2018 at 7:30 p.m. at the Wayne R. Bryant Community Center, 323 E. Charleston Ave., Lawnside. 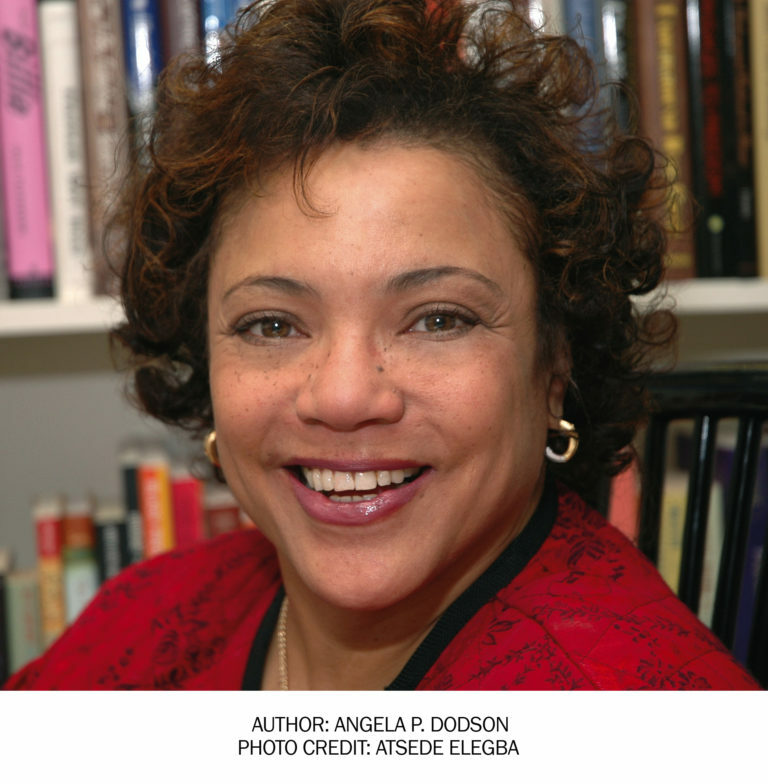 Dodson’s book, Remember the Ladies: Celebrating Those Who Fought for Freedom at the Ballot Box, was recently named a “Best of 2017” book by the Philadelphia Inquirer. She will sign copies of the book available for sale by La Unique Books and Gifts of Camden. The event is free, and all are welcome! LAWNSIDE, N.J. (Jan. 22, 2018)—Camden County Sheriff Gilbert “Whip” Wilson will be the keynote speaker for the Lawnside Historical Society’s Black History Month Program, Thursday, Feb. 8, 7 p.m. at Lawnside Borough Hall. Wilson, the first African-American from Camden City to serve in the General Assembly representing the Fifth Legislative District, will talk about safe police stops, police community relations and how to succeed. Joyce Fowler, vice president of the Society, said Wilson has a timely message about the future of Camden, the importance of discipline, hard work and self-confidence. “When people ask, ‘Can anything good come out of Camden?’ Whip Wilson, by example, answers that question,” she said. Wilson was elected to the assembly seat in 2010 and re-elected in 2011 and 2013. He introduced legislation to combat Camden’s classification as an “urban food desert,” by allowing residents to access Jersey fresh produce from a mobile unit. Always a Camden booster, Wilson was a city Councilman and still helps to raise money for schools and community organizations. He was a city police officer for 26 years, serving as Commander of the Vice Unit and retired as a Lieutenant from the first community policing unit. He is a Vietnam Veteran who served from 1965 to 1969. His tour of duty included Thailand and Vietnam as an Airforce Ranger. He is a member of the Camden County Democratic Committee, (served as a delegate to the 2012 National Democratic Convention), the NAACP, the National Organization of Black Law Enforcement Executives, Vietnam Veterans of America and The New Jersey Vietnam Veterans Memorial Foundation. The program is free and open to the public. Borough Hall is located at 4 Dr. Martin Luther King Road.